Wellington Harbour at sunset from Belmont Trig station (456m). Hutt Valley far left, Korokoro Horokiwi and Mt Kaukau at right. 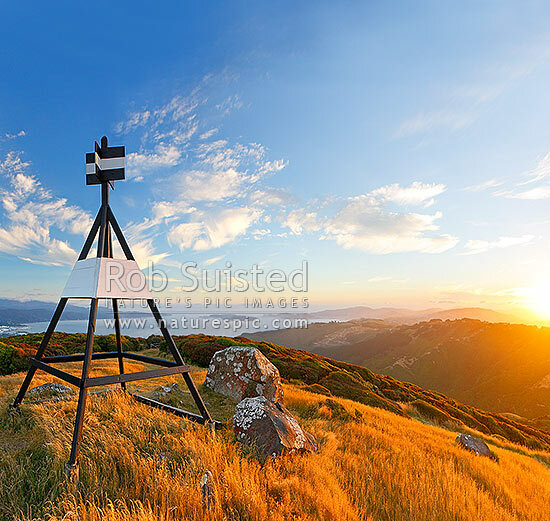 Square format, Belmont Regional Park, Wellington City District, Wellington Region, New Zealand (NZ), stock photo.